NAVKIS Residential Junior College for Boys is a brainchild of Shri. M.R. Anand Ram. The residential college is setup in calm surroundings at Gejjagadahalli, Bangalore North Taluk, Bangalore. The campus is designed for just 200 students (100 in I PU & 100 in II PU). The college caters for PCMB, Comp Sc, Electronics, Science stream combination of Karnataka PU Board keeping in mind CET as the target for majority of students. However, deserving students will be trained for AIEEE/AFMC/JIPMER and other competitive examinations. 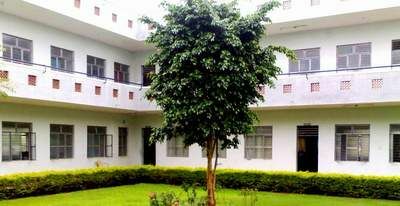 The college is totally residential and caters for students from all over the country and abroad. Admissions are open for both I & II PU Course. Even though eligibility criteria for I PU is pass in 10th standard, with 70% marks from recognized State/Central Boards the candidates have to appear for an interview with the Principal. Students confident of securing 70% marks in I PU Science exam can seek admission at NRJC for PU II year.